An apparatus, system, and method are disclosed for dispersing heat within a particulate filter 110. 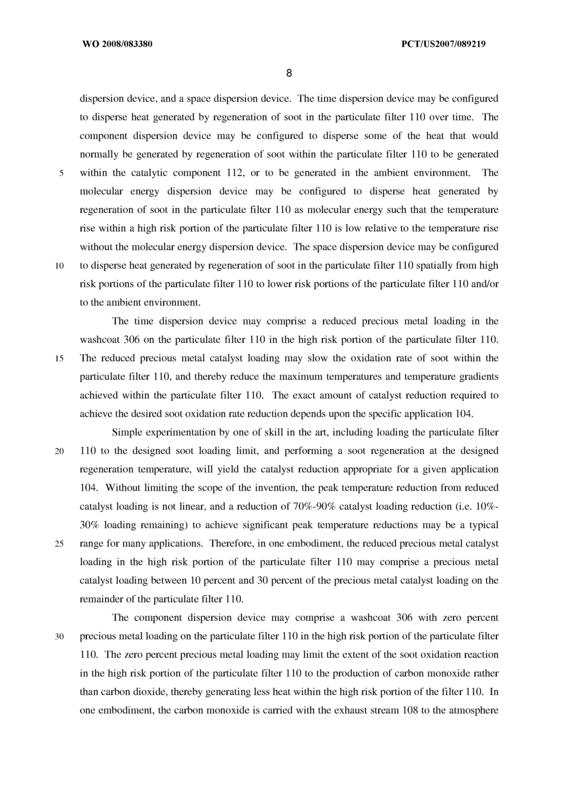 The apparatus may include various devices for dispersing heat from a high risk portion of the particulate filter 110 by delaying heat generation, by conducting generated heat out of the high risk portion, by absorbing the heat generated into molecular energy rather than temperature, by shifting some of the heat burden away from the particulate filter 110 to other devices in an aftertreatment system 106, or out of the aftertreatment system 106. The delaying device may be a reduction of catalyst loading within portions of the particulate filter 110. 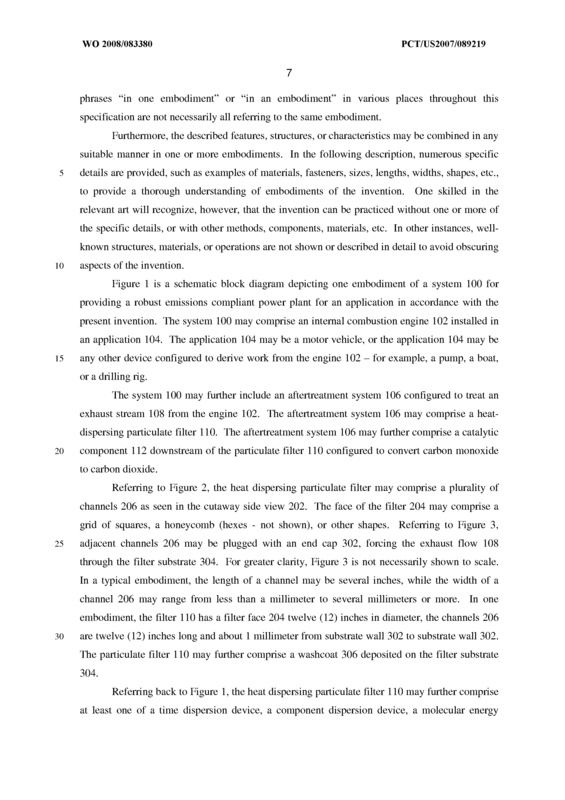 The conducting device may be a plurality of thermal conduits 308 within portions of the particulate filter 110. The absorption device may be a high heat capacity washcoat 306 in portions of the particulate filter 110. 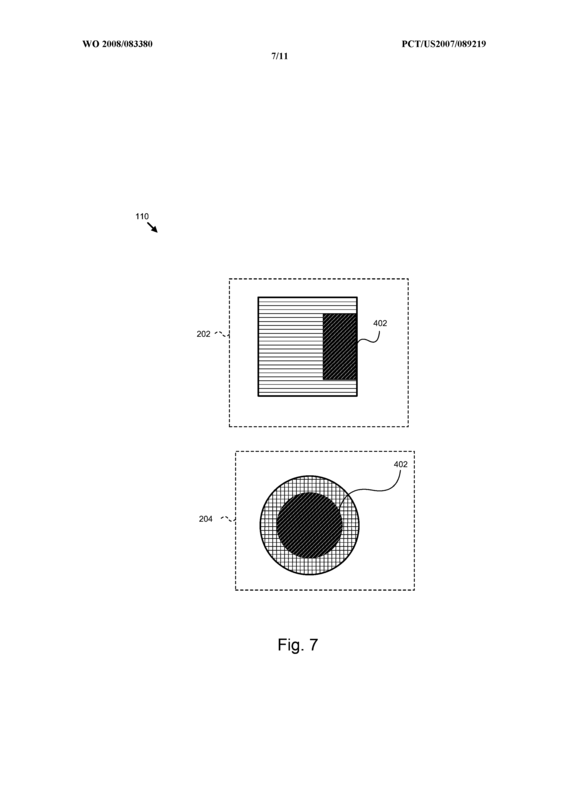 An apparatus for dispersing heat in a particulate filter, the apparatus comprising: a particulate filter comprising a high risk portion, wherein the high risk portion comprises a central shape with a cross-sectional area at the rear of the particulate filter of at least ten percent of the cross-sectional area of the particulate filter, and axially positioned from the back of the particulate filter forward to at least the rear one- sixth of the particulate filter; a plurality of thermal conduits having thermal conductivity greater than thermal conductivity of a particulate filter substrate; and wherein the thermal conduits are configured to thermally connect the high risk portion of a particulate filter with an ambient environment. 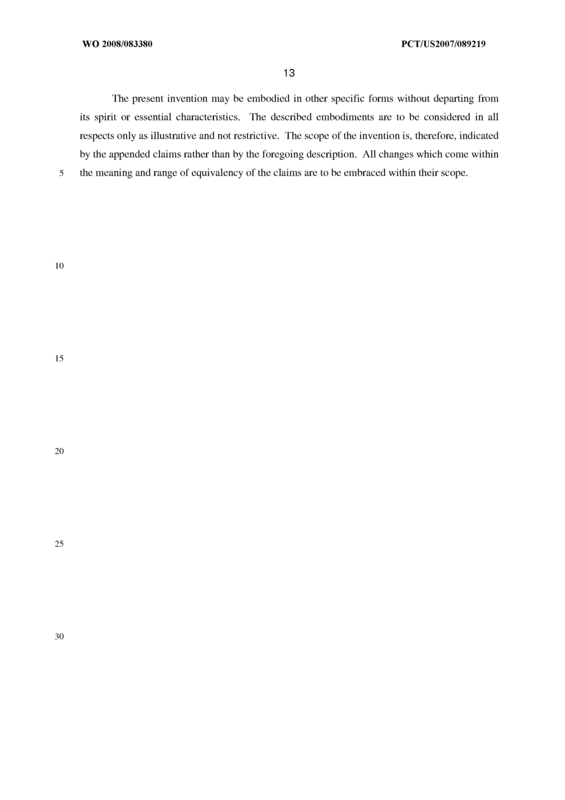 The apparatus of Claim 1, wherein the plurality of thermal conduits comprise one of a plurality of metal wires, a plurality of material fibers, and a plurality of structures. The apparatus of Claim 1, wherein thermally connecting the high risk portion of the particulate filter with the ambient environment comprises thermally connecting the high risk portion of the particulate filter with a plurality of particulate filter channel end caps. 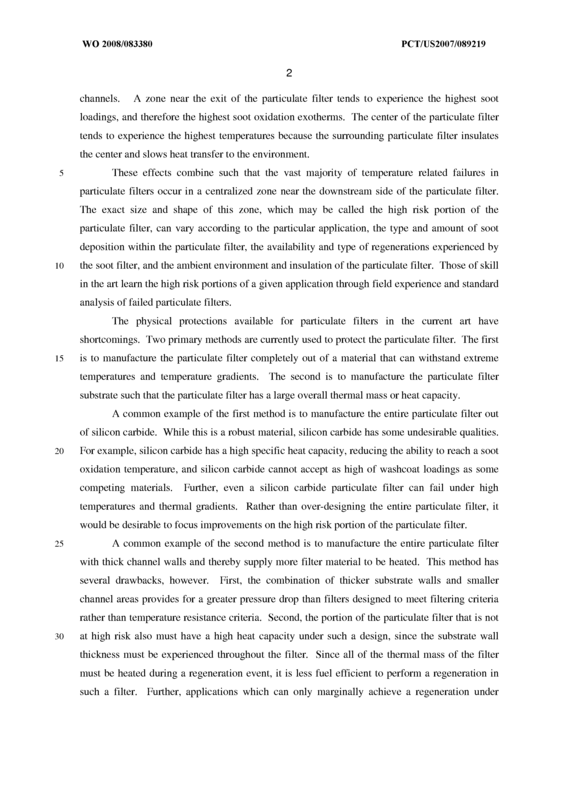 The apparatus of Claim 1, wherein the thermal conductivity of the plurality of thermal conduits comprises a value at least seven times greater than the thermal conductivity of the particulate filter substrate. 5. 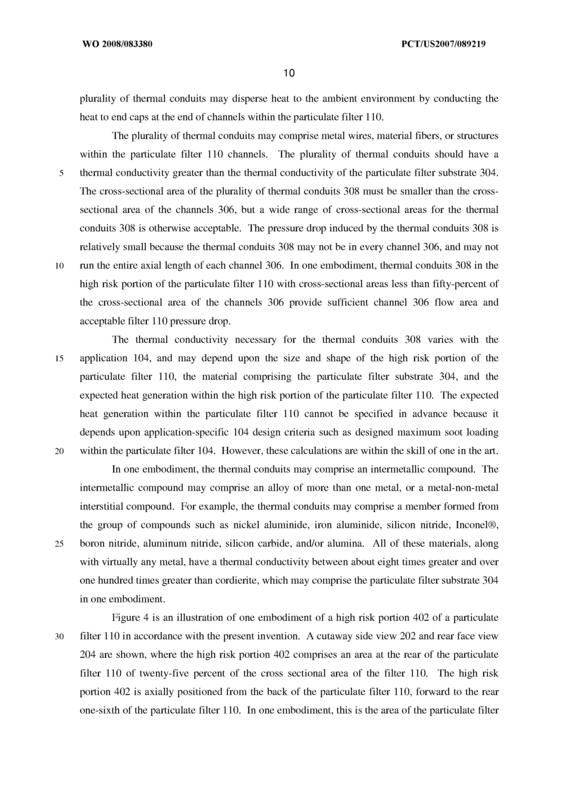 The apparatus of Claim 1, wherein the plurality of thermal conduits further comprise a member formed from an intermetallic compound. The apparatus of Claim 1, wherein the plurality of thermal conduits further comprise a member formed from the group consisting of nickel aluminide, iron aluminide, silicon nitride, and Inconel®. 7. 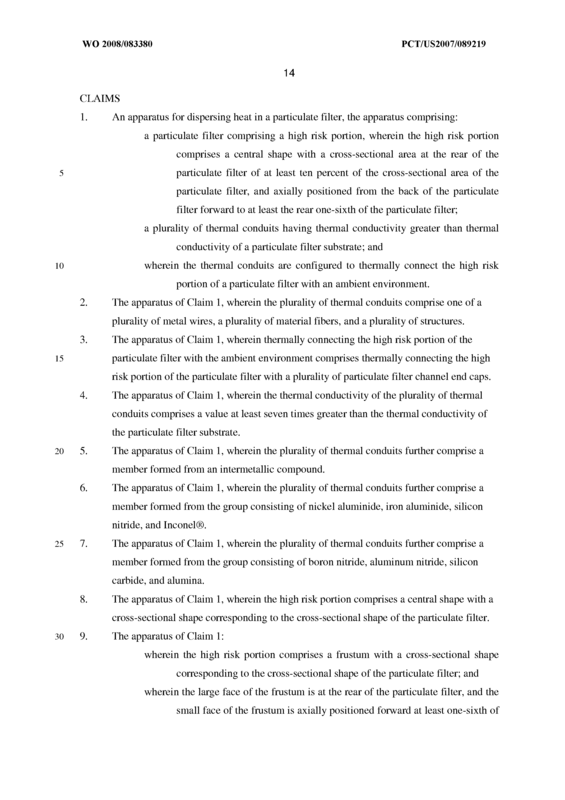 The apparatus of Claim 1, wherein the plurality of thermal conduits further comprise a member formed from the group consisting of boron nitride, aluminum nitride, silicon carbide, and alumina. 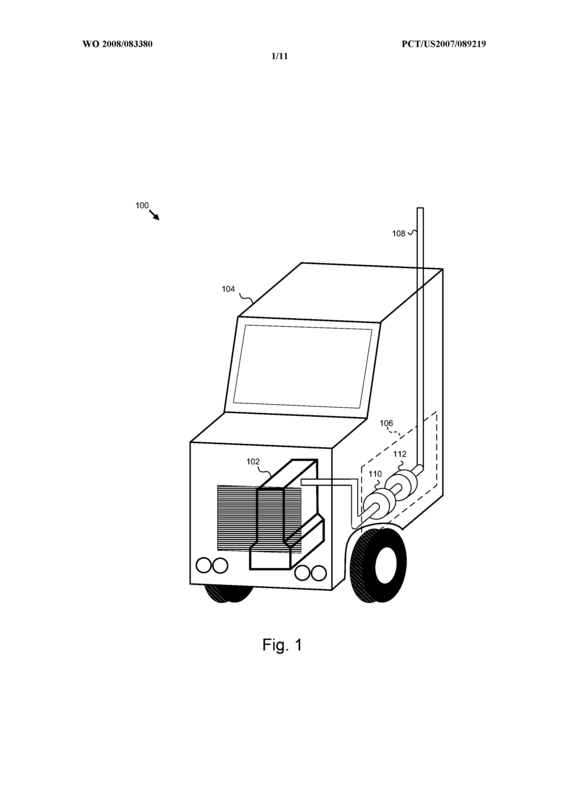 The apparatus of Claim 1, wherein the high risk portion comprises a central shape with a cross-sectional shape corresponding to the cross-sectional shape of the particulate filter. 9. 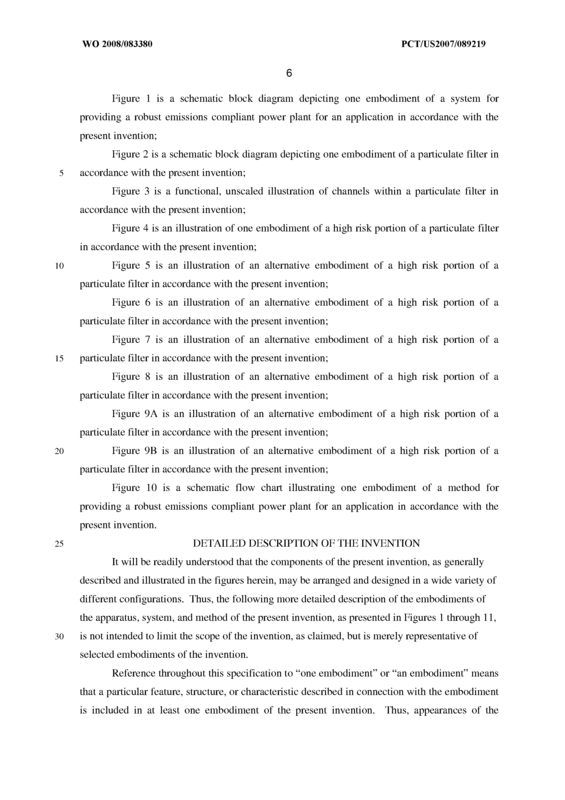 The apparatus of Claim 1: wherein the high risk portion comprises a frustum with a cross-sectional shape corresponding to the cross-sectional shape of the particulate filter; and wherein the large face of the frustum is at the rear of the particulate filter, and the small face of the frustum is axially positioned forward at least one-sixth of the length of the particulate filter. 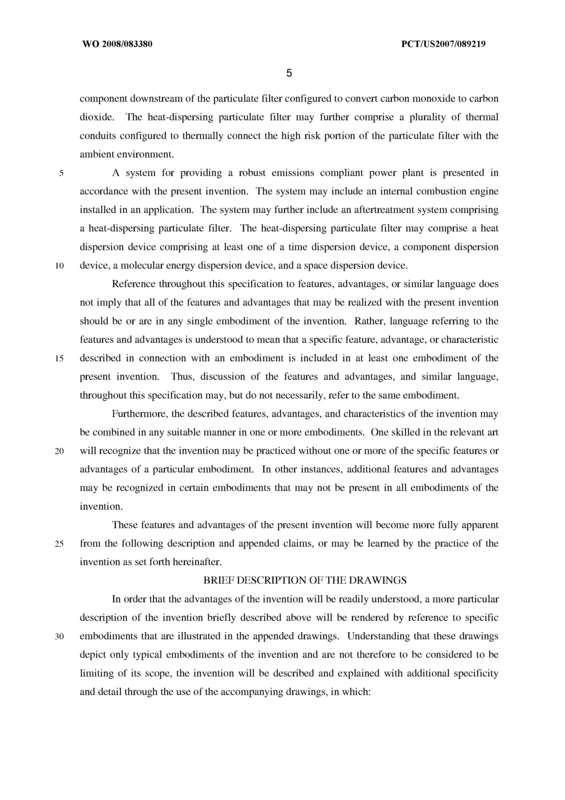 The apparatus of Claim 1: wherein the cross-sectional shape of the particulate filter comprises a circle; and wherein the high risk portion comprises a cylinder with a cross-sectional area at least forty-five percent of the area of the particulate filter. 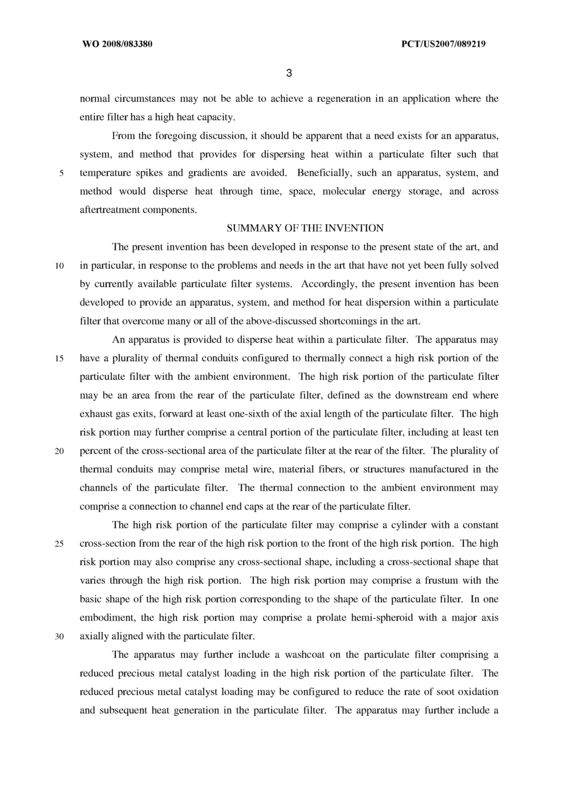 The apparatus of Claim 1 : wherein the cross-sectional shape of the particulate filter comprises a circle; and wherein the high risk portion comprises a cylindrical frustum with a cross- sectional area at the large face of at least forty-five percent of the area of the particulate filter. 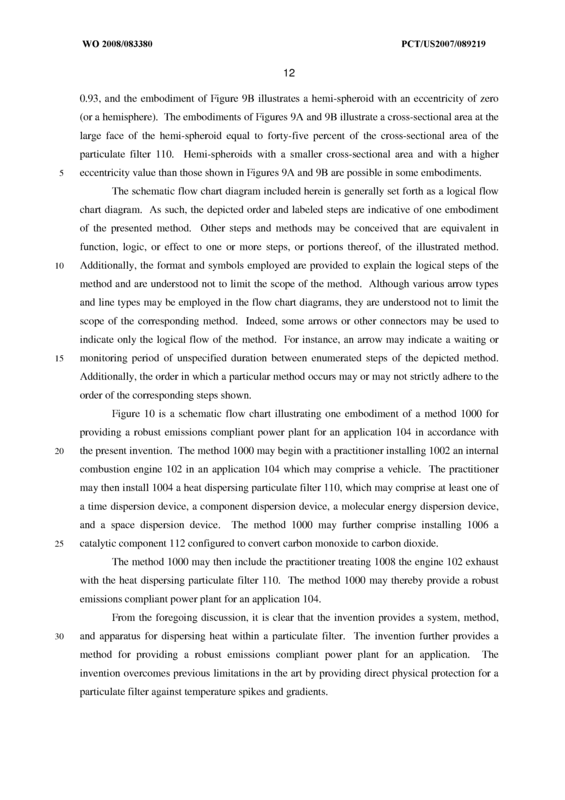 The apparatus of Claim 1: wherein the cross-sectional shape of the particulate filter comprises a circle; and wherein the high risk portion comprises a prolate hemi-spheroid with a major axis axially aligned with the particulate filter and with an eccentricity between zero and 0.93 inclusive, wherein the cross-sectional area of the hemi- spheroid at the large face comprises at least forty-five percent of the area of the particulate filter. 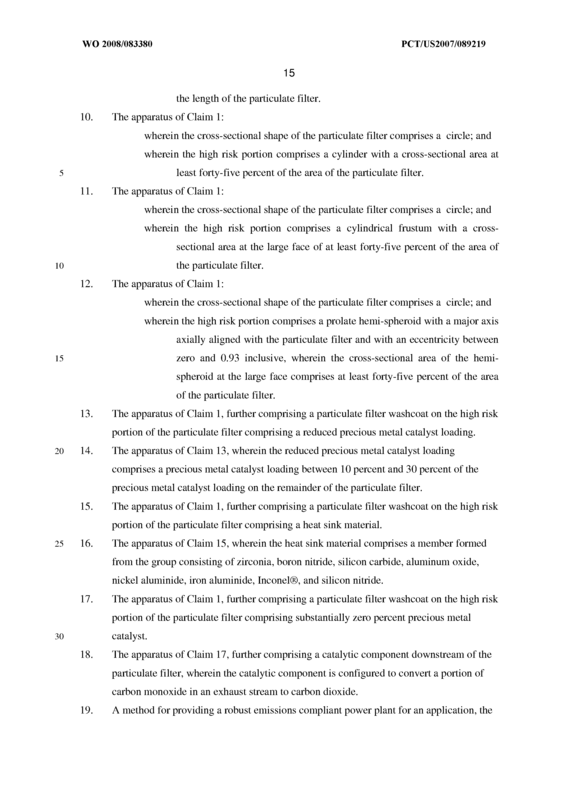 The apparatus of Claim 1, further comprising a particulate filter washcoat on the high risk portion of the particulate filter comprising a reduced precious metal catalyst loading. 14. 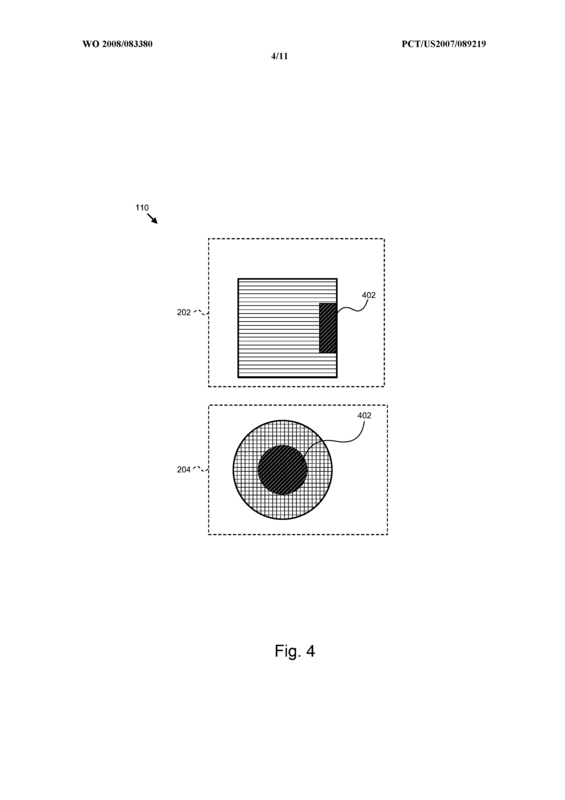 The apparatus of Claim 13, wherein the reduced precious metal catalyst loading comprises a precious metal catalyst loading between 10 percent and 30 percent of the precious metal catalyst loading on the remainder of the particulate filter. 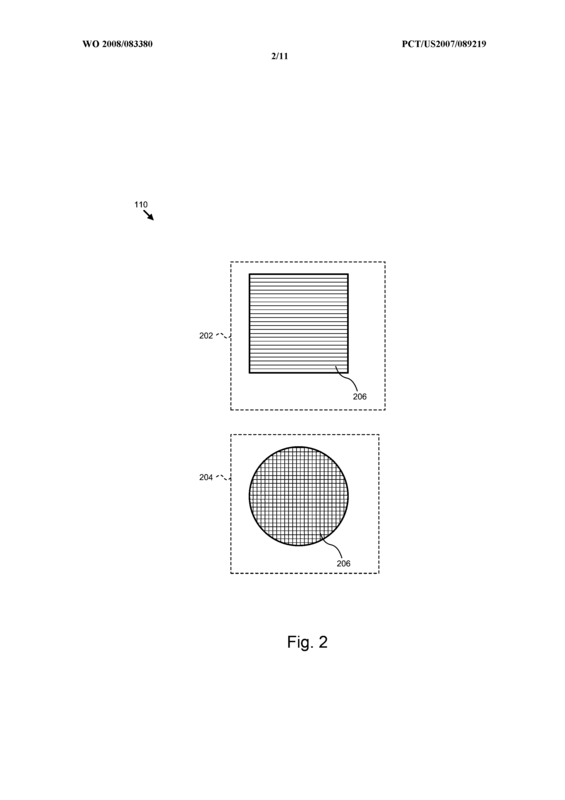 The apparatus of Claim 1, further comprising a particulate filter washcoat on the high risk portion of the particulate filter comprising a heat sink material. 16. 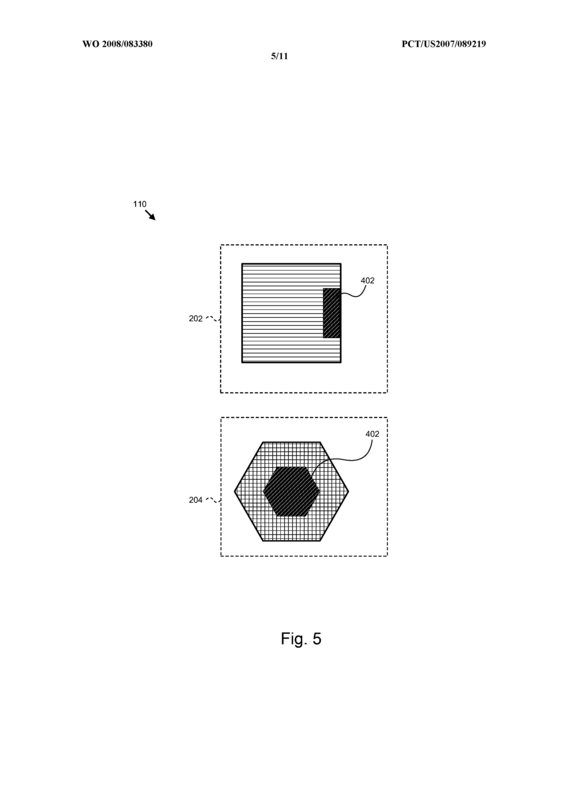 The apparatus of Claim 15, wherein the heat sink material comprises a member formed from the group consisting of zirconia, boron nitride, silicon carbide, aluminum oxide, nickel aluminide, iron aluminide, Inconel®, and silicon nitride. 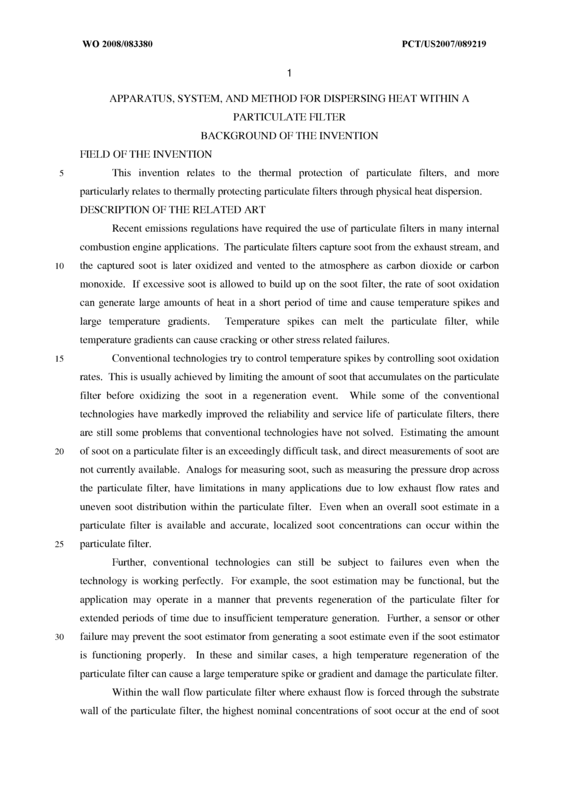 The apparatus of Claim 1, further comprising a particulate filter washcoat on the high risk portion of the particulate filter comprising substantially zero percent precious metal catalyst. The apparatus of Claim 17, further comprising a catalytic component downstream of the particulate filter, wherein the catalytic component is configured to convert a portion of carbon monoxide in an exhaust stream to carbon dioxide. 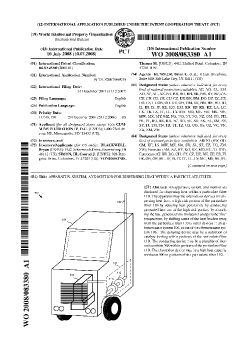 A method for providing a robust emissions compliant power plant for an application, the method comprising: installing an internal combustion engine in an application; installing a heat-dispersing particulate filter downstream of the internal combustion engine; wherein the heat-dispersing particulate filter comprises a particulate filter having a washcoat adjustment in a high risk portion of the particulate filter, the washcoat adjustment comprising one of a reduced precious metal catalyst loading, and a high heat capacity; and treating an exhaust stream from the internal combustion engine with engine heat- dispersing particulate filter to remove particulates from the exhaust stream. 20. 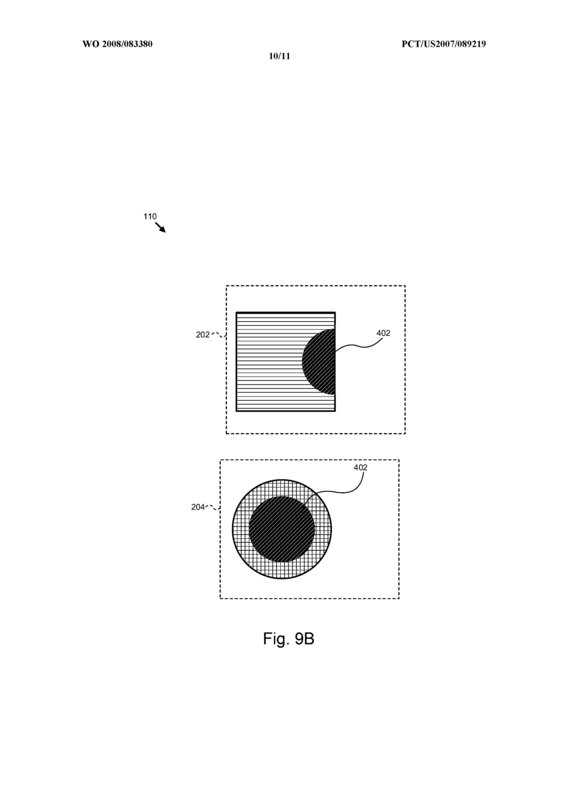 The method of Claim 19, the heat-dispersing particulate filter further comprising a plurality of thermal conduits configured to disperse heat from the high risk portion of the particulate filter to an ambient environment. 21. 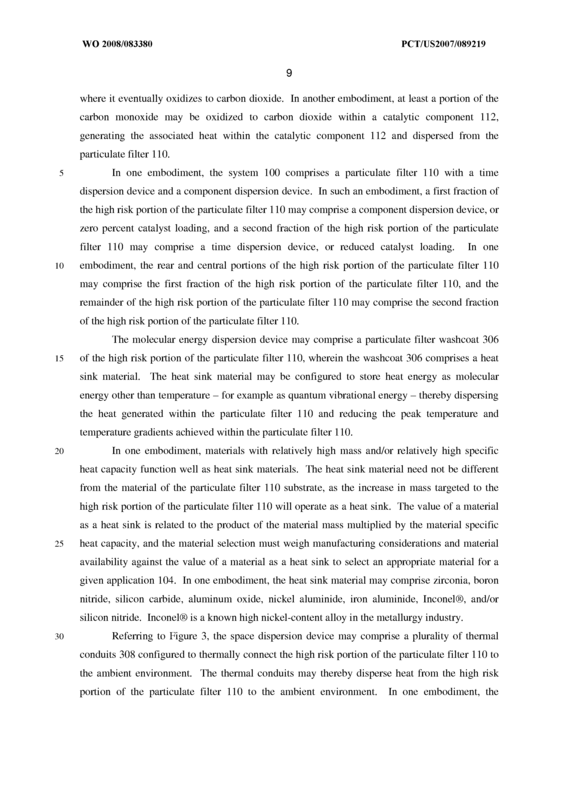 The method of Claim 19, wherein the wherein the reduced precious metal catalyst loading comprises a precious metal catalyst loading between 10 percent and 30 percent of the precious metal catalyst loading on the remainder of the particulate filter. 22. 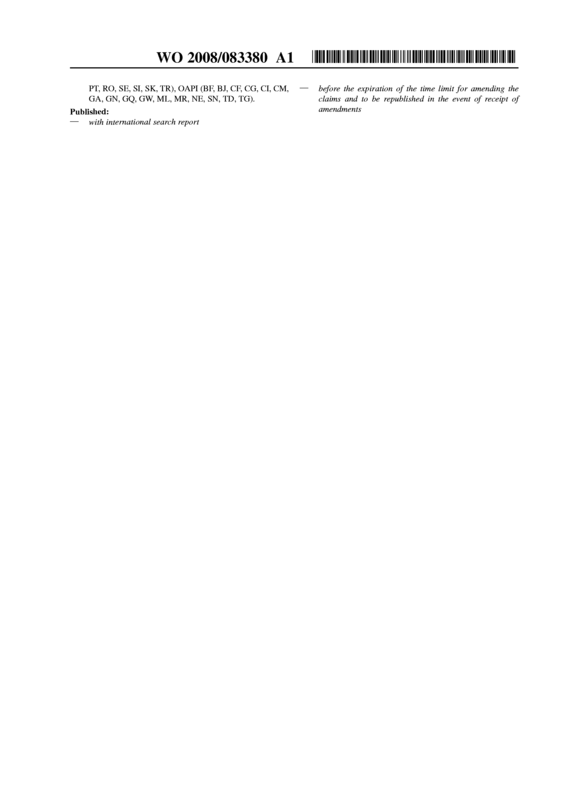 The method of Claim 19, wherein the reduced-catalyst washcoat comprises a washcoat with a zero percent catalyst fraction. 23. 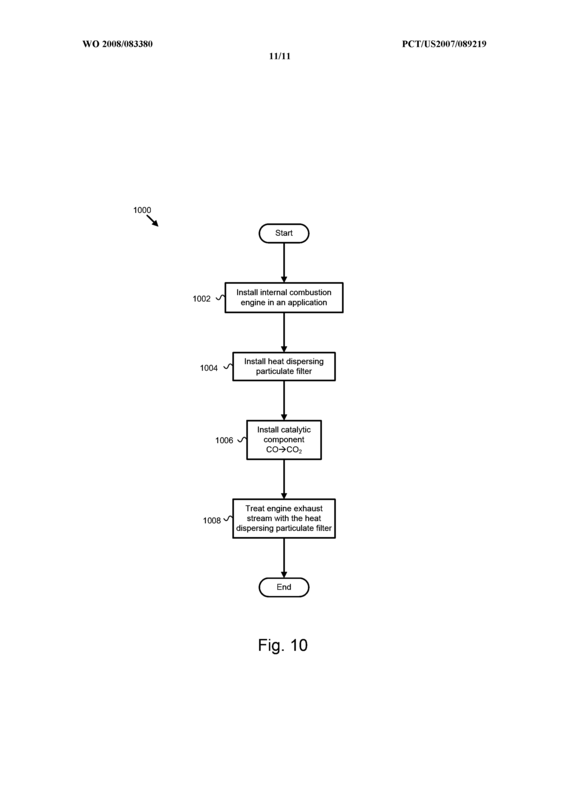 The method of Claim 22, further comprising installing a catalytic component downstream of the heat-dispersing particulate filter, the catalytic component configured to convert carbon monoxide to carbon dioxide. 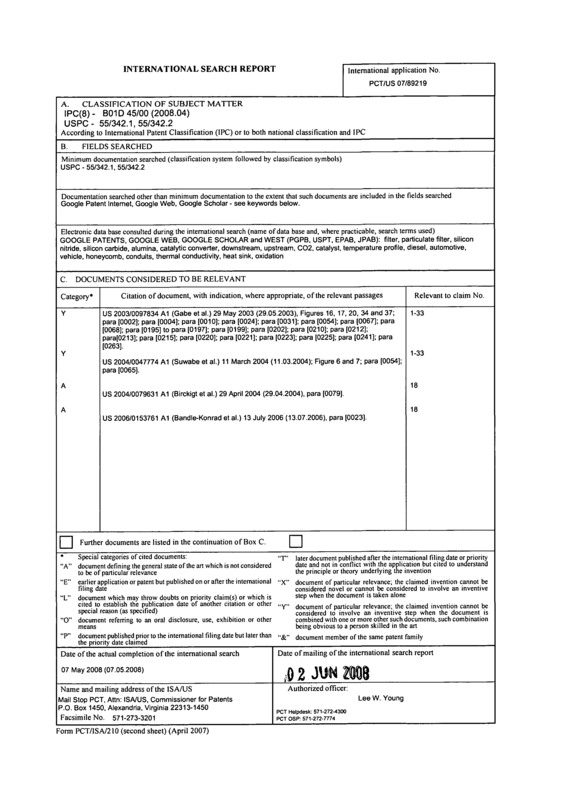 The method of Claim 19, wherein the application comprises a motor vehicle. 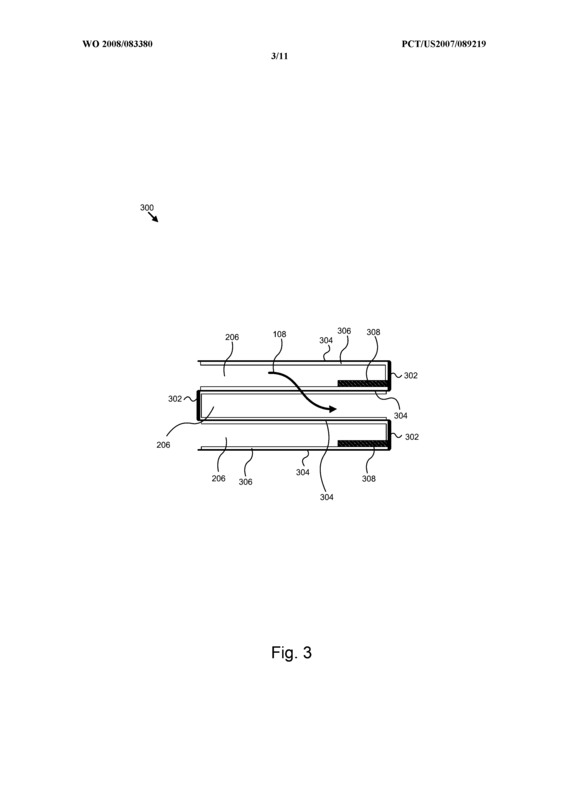 An apparatus for thermal management within a particulate filter, the apparatus comprising: a heat dispersion device configured to disperse heat in a high risk portion of a particulate filter, the heat dispersion device comprising at least one member selected from the group consisting of a time dispersion device, a component dispersion device, a molecular energy dispersion device, and a space dispersion device; wherein the time dispersion device comprises a precious metal catalyst reduction in a washcoat of the high risk portion of the particulate filter configured to reduce a rate of soot consumption during a high temperature regeneration event; wherein the component dispersion device comprises a washcoat comprising zero percent catalyst of the high risk portion of the particulate filter, and a catalytic component downstream of the particulate filter configured to convert carbon monoxide to carbon dioxide; wherein the molecular energy dispersion device comprises a particulate filter washcoat of the high risk portion of the particulate filter comprising a heat sink material; and wherein the space dispersion device comprises a plurality of thermal conduits thermally connecting the high risk portion of the particulate filter with a plurality of particulate filter channel end caps, the plurality of thermal conduits having a thermal conductivity greater than the thermal conductivity of the particulate filter substrate, and wherein the plurality of thermal conduits comprise one of a plurality of metal wires and a plurality of material fibers. 26. 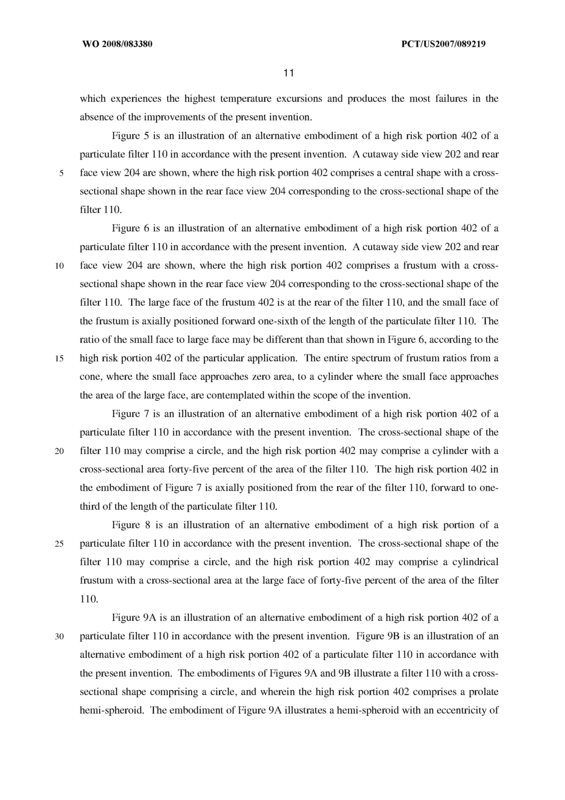 The apparatus of Claim 25, wherein the high risk portion comprises a central shape with a cross-sectional shape corresponding to the cross-sectional shape of the particulate filter. 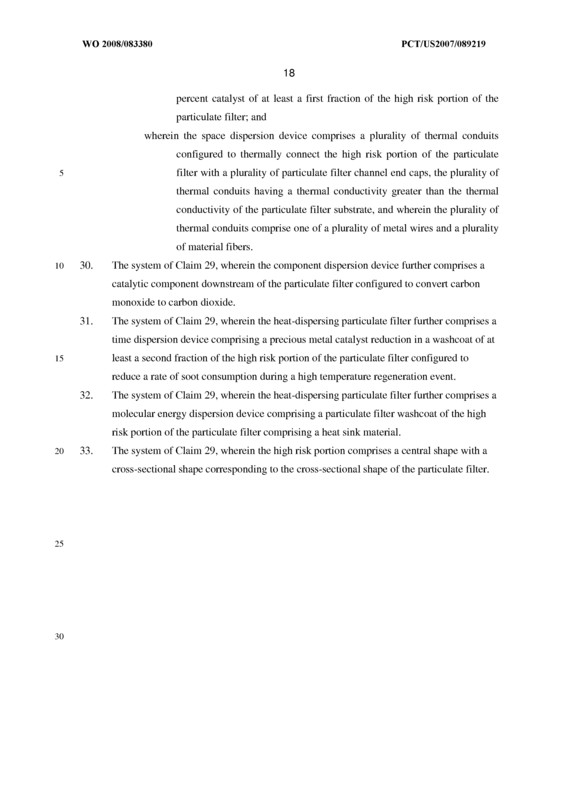 The apparatus of Claim 25, wherein the high risk portion comprises a frustum with a cross-sectional shape corresponding to the cross-sectional shape of the particulate filter, and wherein the large face of the frustum is at the rear of the particulate filter, the small face of the frustum is axially positioned forward at least one-sixth of the length of the particulate filter. 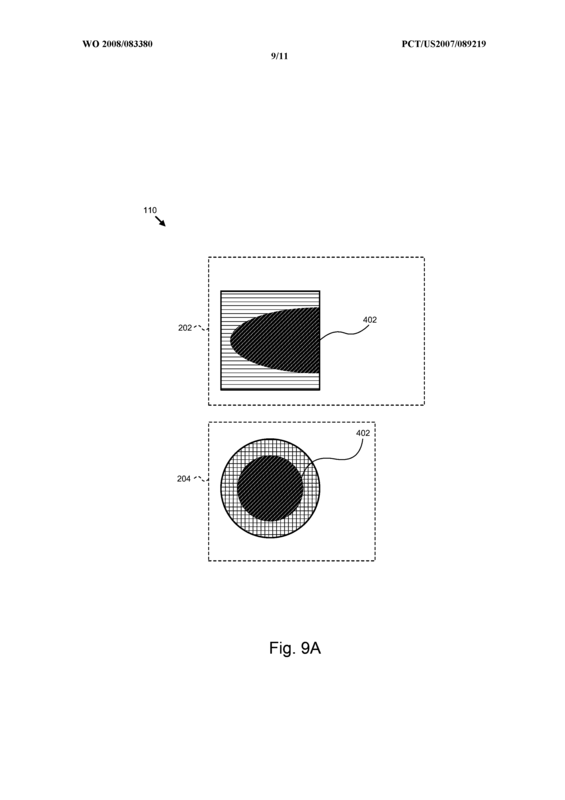 The apparatus of Claim 25, wherein the cross-sectional shape of the particulate filter comprises a circle, and wherein the high risk portion comprises a prolate hemi-spheroid with a major axis axially aligned with the particulate filter and with an eccentricity between zero and 0.96 inclusive, wherein the cross-sectional area of the hemi-spheroid at the large face comprises at least twenty-five percent of the area of the particulate filter. 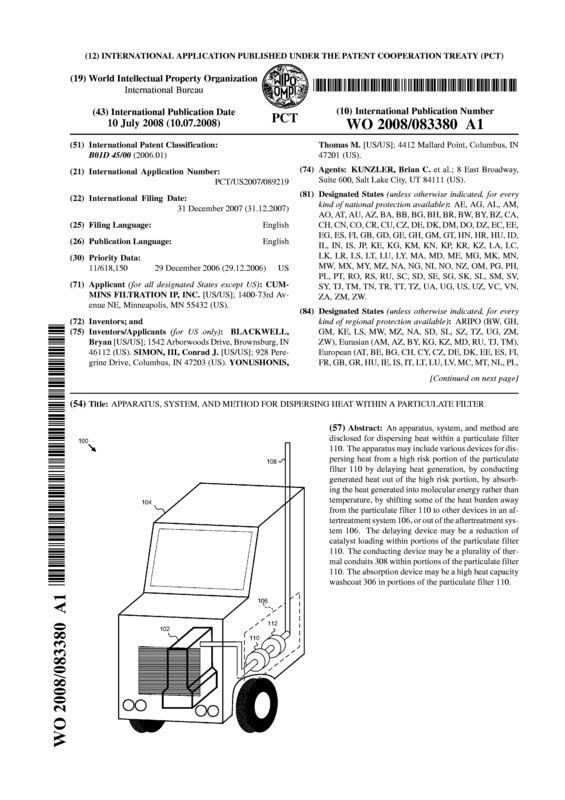 A system for providing a robust emissions compliant power plant for an application, the system comprising: an internal combustion engine installed in an application; an aftertreatment system configured to treat an exhaust stream from the internal combustion engine , the aftertreatment system comprising a heat- dispersing particulate filter, the heat-dispersing particulate filter comprising a space dispersion device and a component dispersion device; wherein the component dispersion device comprises a washcoat comprising zero percent catalyst of at least a first fraction of the high risk portion of the particulate filter; and wherein the space dispersion device comprises a plurality of thermal conduits configured to thermally connect the high risk portion of the particulate filter with a plurality of particulate filter channel end caps, the plurality of thermal conduits having a thermal conductivity greater than the thermal conductivity of the particulate filter substrate, and wherein the plurality of thermal conduits comprise one of a plurality of metal wires and a plurality of material fibers. 30. 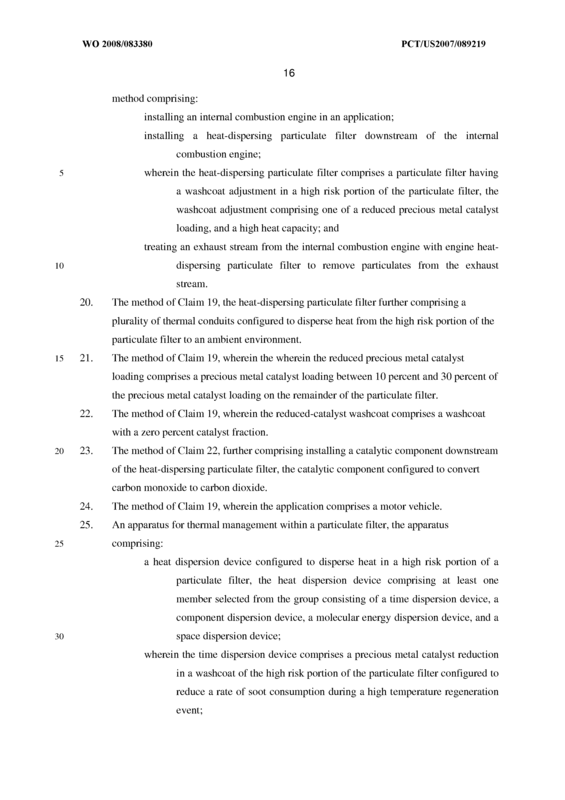 The system of Claim 29, wherein the component dispersion device further comprises a catalytic component downstream of the particulate filter configured to convert carbon monoxide to carbon dioxide. 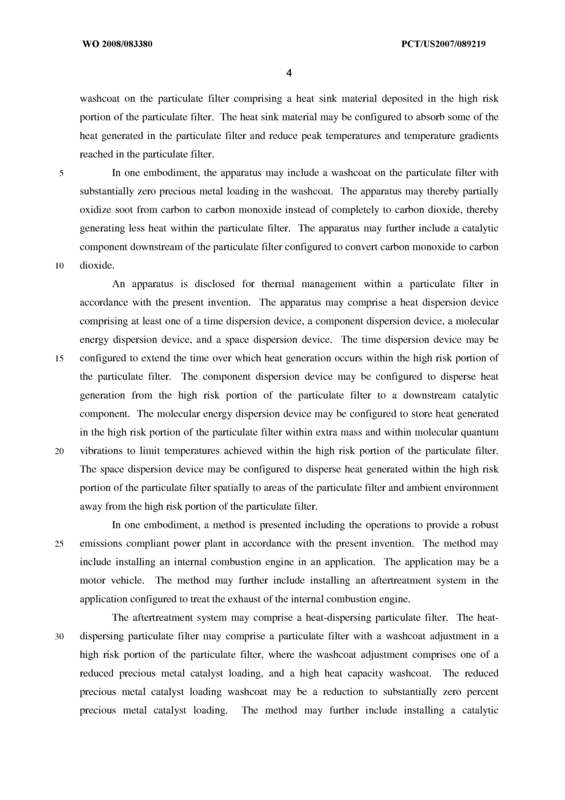 The system of Claim 29, wherein the heat-dispersing particulate filter further comprises a time dispersion device comprising a precious metal catalyst reduction in a washcoat of at least a second fraction of the high risk portion of the particulate filter configured to reduce a rate of soot consumption during a high temperature regeneration event. The system of Claim 29, wherein the heat-dispersing particulate filter further comprises a molecular energy dispersion device comprising a particulate filter washcoat of the high risk portion of the particulate filter comprising a heat sink material. 33. 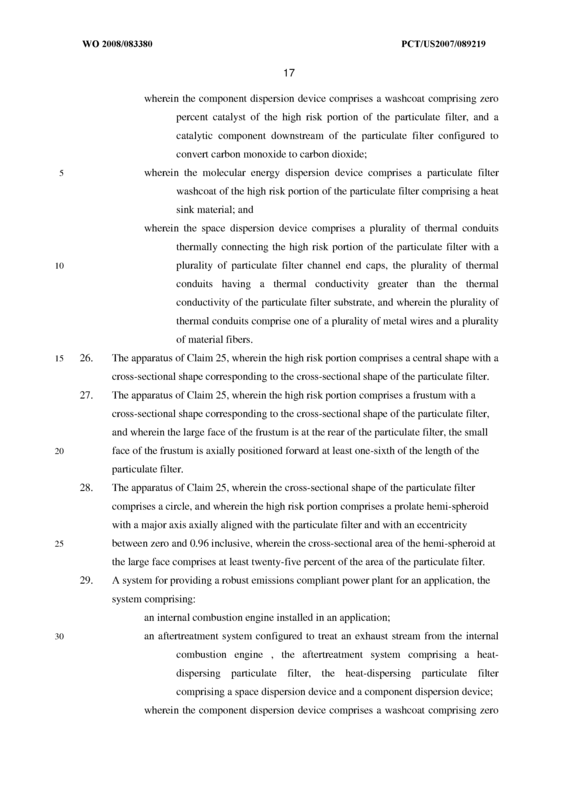 The system of Claim 29, wherein the high risk portion comprises a central shape with a cross-sectional shape corresponding to the cross-sectional shape of the particulate filter.